A revolutionary album in its own right, I just wasn't hooked given that I have seen how it has influenced others music and respect the music, but believe it has been updated in a more implausible way. This is a pretty simplistic jazz album with a lot of the typical jazz forms involved; this just sets the tone for what jazz is meant to sound like. ☆☆☆☆ ~ Astoundingly virtuous album. The carefully crafted production is ecstasy to my ears. It's a fascinating piece sculptured with a lushly quality sound design and very well conceived concept. 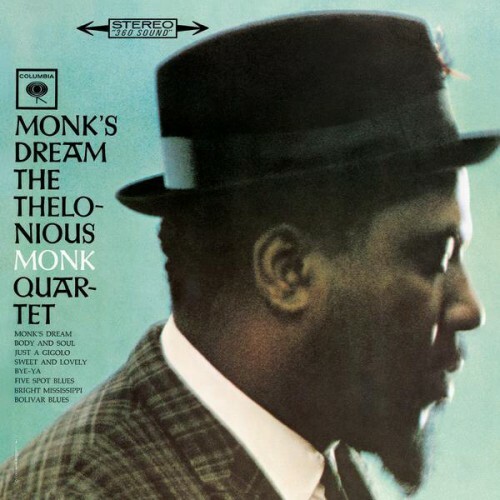 Purchasing Monk's Dream from Amazon helps support Album of the Year. Or consider a donation?